Primarily worked on building web services using Ruby on Rails and Spring Boot. Built example clients, test suites and development infrastructure for most projects. Gained expertise of supporting technologies such as MySQL, MongoDB, JPA, Docker, Jenkins and Cucumber. Learned a lot about healthcare specific technologies such as Epic, Cerner, HL7 and Mirth. Helped maintain and support production deployments. Was involved in designing the system architecture for a few new applications. Was heavily involved in creating and prioritizing the backlog for several projects. Gained experience working with larger teams and eliminating the "bus" factor. Consistently worked with other divisions such as product owners and QA to review requirements, tests and code. Developed an understanding of the healthcare domain and the role that technology plays in it. Recieved a promotion (Associate → Intermediate) after 1 year. 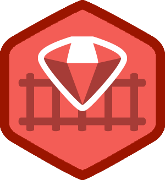 Built out features for the primary Ruby on Rails application. Contributed to and refactored the sizable Cucumber test suite. Maintained and debugged the production deployment and database. Provided infrastructure (through Google Analytics) for our data analysts. Was involved in the planning and design of the company's website and application. Was often given the chance to take the lead on small projects. Gained experience working with a small and partially remote team. Worked for/with the sales, data and management teams directly. 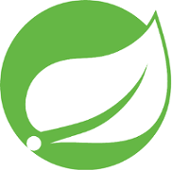 I built this application as a sandbox to try out features of Spring Boot, Spring Data, JPA, MongoDB, Gradle, Lombok and RestAssured. It contains a RESTful web service with CRUD functionality for one resource (User). The application showcases how easy it is to implement simple microservices with Spring Data. There is no security on the application, but I did implement a request limit to prevent Heroku from charging me. I hope to add a Docker build and some more features, such as another resource, to the application soon. The source code contains my preferred Rails development stack, some basic UI design patterns, common Rails usages/gems and my own set of generic Cucumber steps. Only admins can perform significant action in the application, so contact me if you would like admin power in my example deployment. 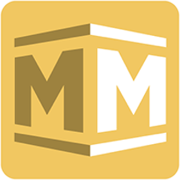 I built this website using Middleman, HAML, SASS, CoffeeScript, GitHub Pages and GoDaddy. This website is meant to serve the same purpose as a resume, except in a style more applicable for a software engineer. I tried to design the webiste in a more modern style with horizontal sections that would lead the reader through in an easy-to-read way. Design has never been my strong point and I would certainly appreciate any input you had to offer in terms of the design and UX of this website! I built this Android™ application for a course in graduate school. It wasn't a requirement to publish it, but my friends and I actually wanted to use it. The app is for players of the game DotA (Defense of the Ancients) 2. It compiles the stats from their most recent games by sending requests to a web service I also wrote. The web service makes requests to the Steam and Dota 2 APIs. Unforunately, I am unable to share the code for this project. Google Play and the Google Play logo are trademarks of Google Inc. 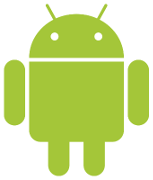 The Android robot is reproduced or modified from work created and shared by Google and used according to terms described in the Creative Commons 3.0 Attribution License. The best way to contact me is at adaros48@gmail.com.